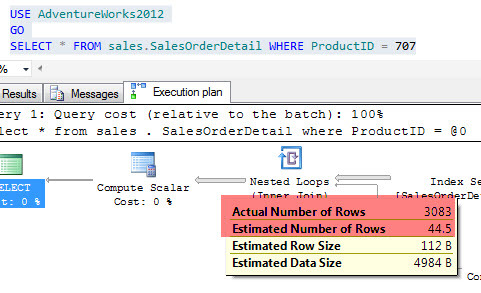 In this article I want to demonstrate with an example how this feature works when configured. let us begin by first understanding what is “Optimize for adhoc workloads” . This feature helps improve the plan cache’s efficiency to handle workloads that contain many single use of ad hoc batches. When set to 1, the engine keeps a small compiled plan stub in the plan cache when an ad hoc batch is compiled for the first time, instead of the full compiled plan. This helps in releasing memory pressure by not allowing the plan cache to become filled with compiled plans that will not be used again. This compiled plan stub enables the SQL engine to decide that an ad hoc batch has been compiled previously but has only stored a compiled plan stub. So when this batch is compiled or executed again, the SQL engine compiles the batch, removes the compiled plan stub from the plan cache, and adds the full compiled plan to the plan cache. This will only affect new plans. Plans that are already in the plan cache are unaffected. Step 11: Repeat step 3. Yes we do see that when the same batch has multiple executions, the query is indeed cached. 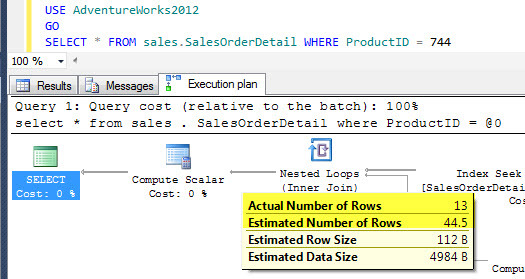 To summarize the utility of this feature we can say that it helps SQL Server memory by not allowing to store Ad hoc query plans which are for single use only.